Some time ago +matt jackson set a challenge based on a very small map. He asked that participants take the map as the basis for an adventure and he’d choose a winner. In the end, he highlighted a bunch of great adventures people had come up with and I got a PDF of Moleskin Maps as a runner-up prize. Anyway – I wrote my adventure to use the Fighting Fantasy system, or (bizarrely) a simplified version of it (yeah, that is possible). After making the adventure freely available, I was contacted by a member of the French Fighting Fantasy publisher who wanted to translate it. I admit to being taken aback, but agreed without reservation. This morning I noticed that I had a mention on Google+ and I found this – La Fosse aux Ordures. You can download this as a free PDF from the page linked below. The page and the PDF are both in French (and Google Translate has fun with the page, calling the adventure Cesspool, which I suppose makes sense as a possible translation). Go ahead and have a look – and see The Pit of Filth in all its glory. Thanks to the Fighting Fantasy folks in France for taking the time to do this – and I hope that someone somewhere has a mildly grossed out evening playing this with their single, worried player. 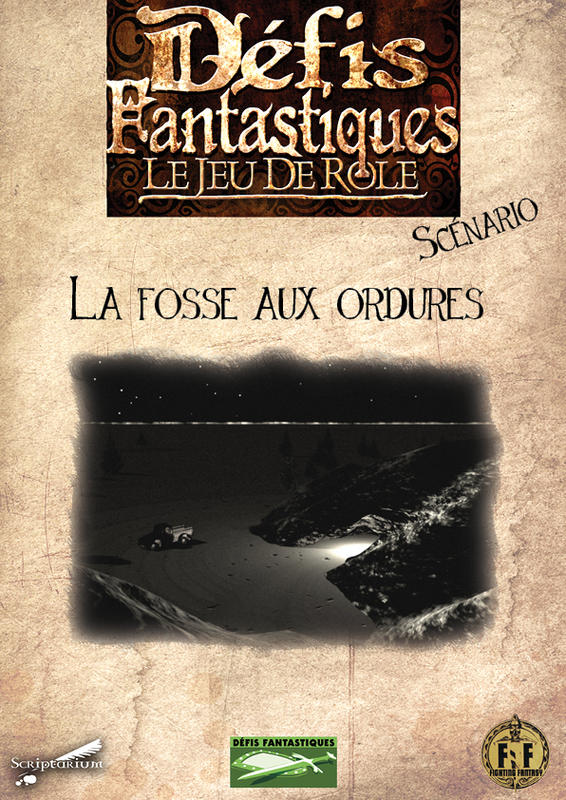 Head over to Défis Fantastiques – La Fosse Aux Ordures and download the PDF. It was a pleasure to translate, and a nice adventure. Thanx to you again !